This year will you take a step of faith and fully trust in God? 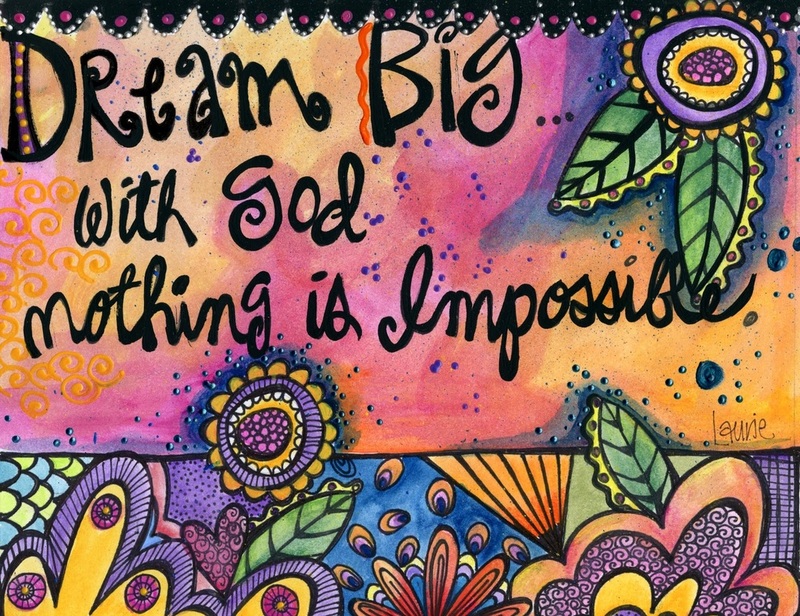 Dream Big, and watch Him do the impossible. Psalm 37:5 ~ Commit everything you do to the LORD. Trust Him, and He will help you. Matthew 19:26 ~Jesus looked at them and said, "With man this is impossible, but with God all things are possible." Him to use you in ways you never thought possible. God created you, and gave you gifts and talents. He wants to work through you to touch lives that only you can touch. Jesus can help you step out of your comfort zone to fulfill His will. Remember what looks impossible to you is possible for Him.